I got taped up…and I kinda liked it. So you know those cute Shamrock Pro Compression socks all the cool bloggers are sporting this weekend as they run the St. Patty’s Day races?? I’m cool too. And I have them. I wore them today. All day 🙂 I just completely spaced out taking a picture 🙂 Whoops. Does this help? 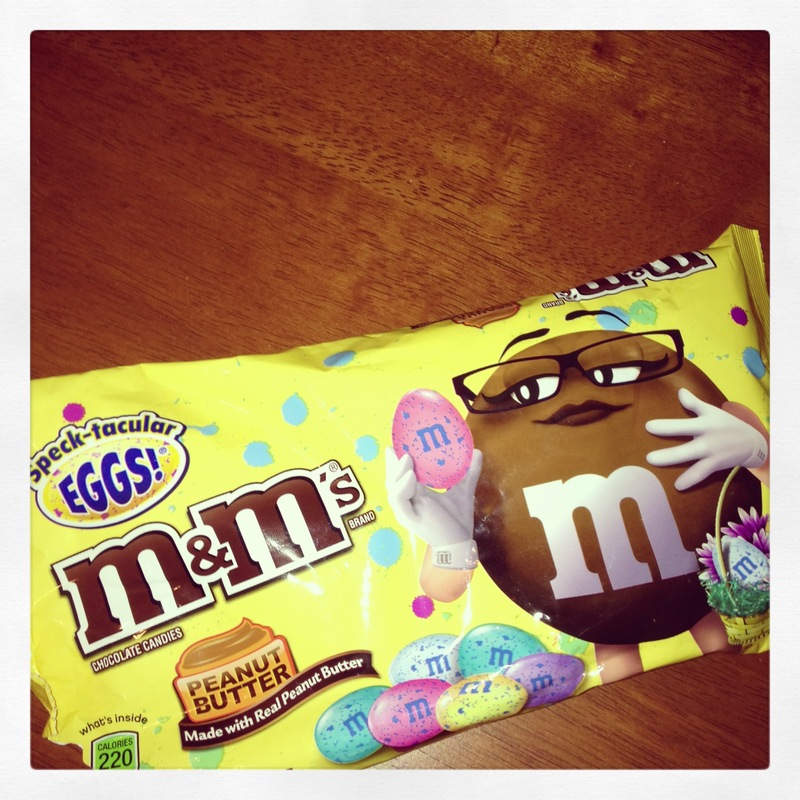 Ok maybe not the best, but it ranks right up there with the Reese’s Peanut Butter cup eggs. I’m not able to take photos of them because they don’t survive long enough for a photo op. Is anyone else an Easter candy fanatic? I can’t. Stop. Eating. It. And yes, Joey photo bombed me…again. Little stinker always does that! He strategically places his random toys and then runs away. And don’t worry that is not a band aid on my knee. It is tape. Don’t worry I am sure I won’t disappoint you. Expect to see me scraped up sometime. I usually biff it every year. I’m sure it will happen soon. The tape is kinesiology therapeutic tape. The stuff I ordered will NOT match my skin color. Stay tuned 🙂 I was a bit skeptical that tape of all things, could help my knee feel better. 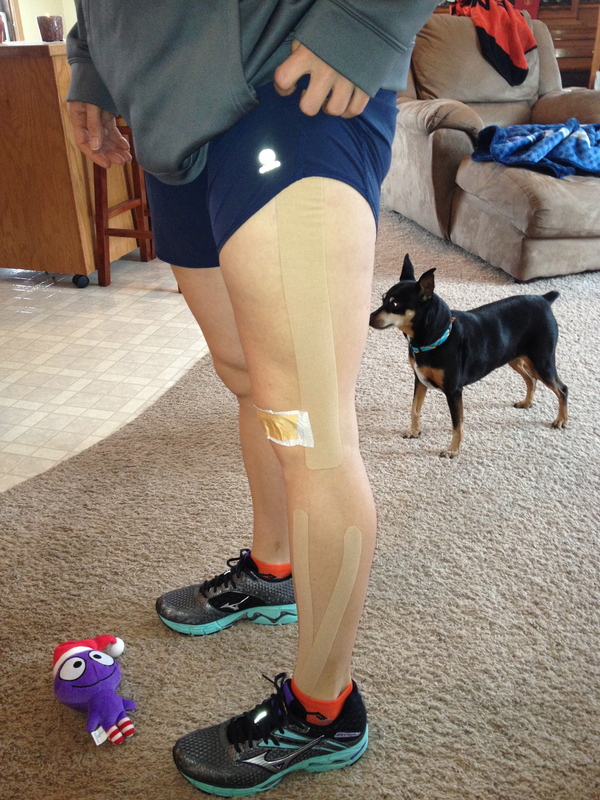 I’ve seen it used on patients to help reduce swelling in hips and knees, and I’ve seen other runners and athletes taped up. But I have always wondered if the tape is a hoax. Guess what…it’s not. I love it. 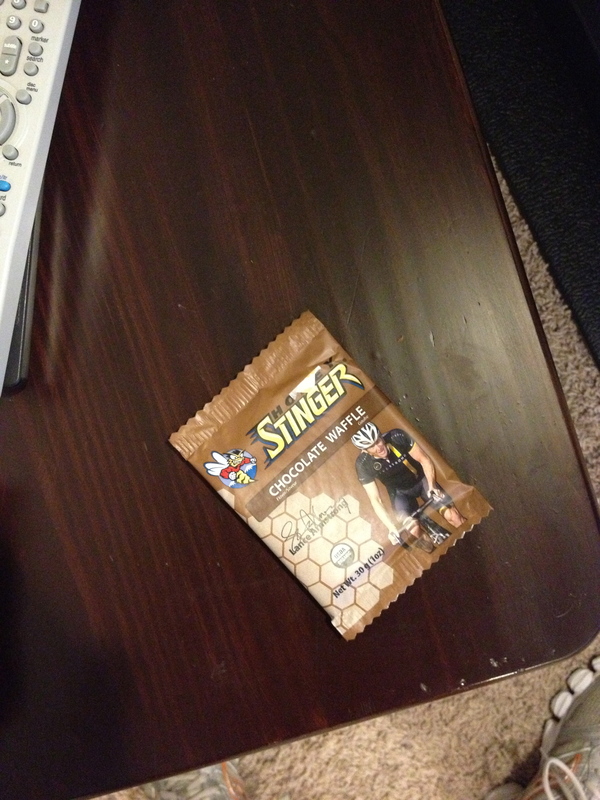 And I think this is the stuff that will get my rear to the starting line of Fargo Marathon. A couple of weeks ago I started having pain in my left patella. So I did what every runner does at some point…just keep running. Run through the pain, ignore it, it will go away right? Right…So, I asked a favor, asked some questions, decided to try getting taped up, and cut back my miles and effort for a week. The taped up 15 mile treadmill run was great, and I’ve been going a little stir crazy not running quite as much this last week. Today should’ve been 13 miles and I only had time for 10. I skipped the midweek 7 mile tempo run. I didn’t do any speed work. And I cross trained with a dvd and spin. This next week I think I will take it easy, except I have 17 miles on the schedule for Thursday. I should have the tape I ordered by then so I hope that goes well! I also know that I need to cross train with more biking and strength training to get my quads stronger. So that is also on my agenda. We’ll see how it goes! I’ll recap the last week in a bit, but first I thought I should warn you about something. First I’ll tell you that I’m not one to have much of a sensitive stomach. I can eat before, during, and usually after a run. However, after I ate this during last weeks long run, I was thankful to be on a treadmill and near a porcelain god. Last Sunday was the 15 mile treadmill run. Taped up tib fib, IT band, and knee and felt great! 15.25 miles in 2:10. I started at 8:49 miles and ended at 8 min/mile. Progression people. Monday was Jillian’s Shed and Shred level 1. I love this DVD and I need to do it more often! Tuesday I ran an easy 4 miles in 34:25 for 8:37/mile pace. Wednesday ran outside an easy 4.14 miles in 36:02 for 8:43/mile with the Hubs. Thursday I hopped on the bike and trainer and did a 50 minute dvd from studio sweat on demand and holy crap does Cat make.you.sweat. Loved it! Friday was going to be a rest day but the Hubs talked me into running an easy 4.15 miles in 36.08. I used two fabric foam supports for my patella and they helped a little bit. Saturday I took a rest day. Today I was supposed to run 13. But I ran 10 in 85 minutes. I had the patella support thingys on again and they really helped today! I could’ve gone 13 but I woke up late, spilled coffee all over my kitchen counter, got 3 miles into my run and decided to come upstairs and put oatmeal and apples in the rice cooker so I had lunch for work today. That took up 10 minutes. Then I had to stop and use the bathroom twice. Then I had to run upstairs to stir the oatmeal. I would’ve been able to squeak out 2 more miles had I not fiddle farted around, but then I wouldn’t have had any lunch and that would’ve been NO good for anyone around me. Has anyone had any patella tracking problems? Have you tried the KT tape??? What are your thoughts?? and What is your favorite Easter candy? Next postNuun. Excuse me, I have a question for you.